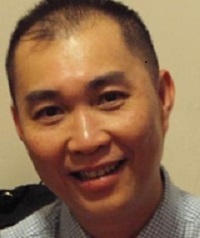 Prof Jason Chuah FRSA is Head of the Academic Law Department. He has held scholarships from Barclays Bank and the UK Overseas Development Authority at St Johns College, Cambridge University. He was the holder of the Cambridge Commonwealth Trust Award and the Cambridge Commonwealth Fellowship and also has a Certificate in Export with Distinction from the Institute of Export, winning the Clive Schmitthoff Commercial Law prize and the Sweet & Maxwell book prize. Jason has been on the World Intellectual Property Organisation's list of specialist speakers in e-commerce, and was a speaker for the International Securities Markets Association training courses. He is also an Executive Director of the London Universities Maritime Law and Policy Group and has been nominated three times for the Oxford University Press Award for Best Law Teacher of the Year. He is a peer review of the Arts and Humanities Research Council and has been involved in various consultations with the Ministry of Justice, the OECD, the ICC, the Association of British Insurers, the UNCITRAL, etc. His works have been cited by the CJEU, EU Institutions, courts and tribunals in the US, UK and Asia. He is also a Fellow of the Royal Society of Arts. Jason's PhD students have worked on Cross Border Insolvency Law, Sea based Oil Pollution Funds in China, Credit Default Swaps, Internet Banking Services, Electronic Bills of Lading, Aviation Law and Regulation, Insolvency Law and, the Music Industry and EU Merger Regulation. Chuah, J. (Ed. ), (2019). Research Handbook in Maritime law and regulation. UK: Edward Elgar. ISBN 978-1-78643-878-2. Chuah, J.C.T., furmston, M., Brownsword, R., Goh, Y., Halson, R., Khan, A. … Tolhurst, G. (2018). The Law of Contract. Chuah, J.C.T. (Ed. ), london: lexisnexis. ISBN 978-1-4743-0720-8. Rogers, A., Chuah, J. and Dockray, M. (2016). Cases and Materials on the Carriage of Goods by Sea. Routledge. ISBN 978-1-317-61010-6. Chuah, J. and Pédamon, C. (2013). Hardships in transnational commercial contracts: a critique of the legal, judicial and contractual remedies. Zutphen, The Netherlands: Uitgeverij Paris BV. ISBN 978-94-90962-86-9. Chuah, J.C.T. (2013). Law of International Trade: Cross-Border Commercial Transactions. London, UK: Sweet & Maxwell. ISBN 978-0-414-02325-3. Chuah, J.C.T. and furmston, M. (2013). Commercial Law. Harlow, UK: Pearson. ISBN 978-1-4479-0447-2. Furmston, M. and chuah, J. (2013). Commercial Law. Pearson. ISBN 978-1-4479-0447-2. Chuah, J. and Furmston, M. (Eds. ), (2010). Textbook on commercial law. Longman. ISBN 978-1-4058-7367-3. Chuah, J. (2009). Law of international trade. ISBN 978-1-84703-344-4. Masefield, R., Howard, M. and Chuah, J. (Eds. ), (2006). Butterworths banking law guide. MICHIE. ISBN 978-0-406-04935-3. Chuah, J. (2005). Law of international trade. ISBN 0-421-90110-1. Chuah, J. (2004). Statutes and conventions on private international law. Routledge Cavendish. ISBN 978-1-85941-548-1. LexisNexis, (2004). Encyclopaedia of Banking Law. Butterworths. ISBN 978-1-4057-0039-9. Chuah, J. (2001). Law of international trade. ISBN 978-0-421-74650-3. Chuah, J. and Kaczorowska, A. (2000). Conflict of Laws. Routledge Cavendish. ISBN 978-1-85941-413-2. Chuah, J. (1998). Law of international trade. Chuah, J. (1998). International Trade Law. Routledge Cavendish. ISBN 978-1-85941-259-6. Cresswell, P., Phillips, P.M., Tolaney, S., Blair, W.J.L., Chuah, J., Edwards, W. … Walker-Arnott, G.A. (1996). Encyclopedia of Banking Law. MICHIE. ISBN 978-0-406-99810-1. Chuah, J. (1995). International Trade Law Q&A. Routledge Cavendish. ISBN 978-1-874241-31-7. Chuah, J. and Kaczorowska, A. (1994). Conflict of laws. Routledge Cavendish. ISBN 978-1-85941-142-1. Chuah, J. (2019). Executory Contracts in Insolvency Law. In Chuah, J. and Vaccari, E. (Eds. ), Executory Contracts in Insolvency Law UK: edward elgar. ISBN 978-1-78811-551-3. Chuah, J.C.T. (2015). Contents. In Furmston, M. (Ed. ), London, UK: lexisnexis. Chuah, J. (2015). Globalised maritime commerce and challenges for PRC Choice of Law rules in defining “party autonomy”. In Hjalmarsson, J. and zhang, J. (Eds. ), Maritime Law in China (pp. 200–217). london: routledge. ISBN 978-1-138-66613-9. Chuah, J.C.T. (2010). Impact of the Rotterdam Rules on the Himalaya Clause - The Port Terminal Operator's Case. In Thomas, D.R. (Ed. ), The Carriage of Goods by Sea Under the Rotterdam Rules Informa. ISBN 978-1-84311-893-0. Chuah, J.C.T. (2009). Laytime and Demurrage Clauses in Contracts of Sale – A Survey of the New York Society of Maritime Arbitrators' Awards (1978-2008) and English Case Law. In Thomas, D.R. (Ed. ), The Evolving Law and Practice of Voyage Charterparties Informa. ISBN 978-1-84311-808-4. Chuah, J.C.T. (2008). Agency. In Upex, R. and Bennett, G. (Eds. ), Davies on contract ISBN 978-1-84703-447-2. Chuah, J.C.T. (2008). Assignment. In Upex, R. and Bennett, G. (Eds. ), Davies on contract ISBN 978-1-84703-447-2. Chuah, J.C.T. (2004). Assignment. In Upex, R. and Bennett, G. (Eds. ), Davies on contract ISBN 0-421-83060-3. Chuah, J.C.T. (2004). Agency. In Upex, R. and Bennett, G. (Eds. ), Davies on contract ISBN 0-421-83060-3. Chuah, J.C.T. (2001). General Aspects of Lender Liability under English law. In Blair, W., Studies, Q.M.A.W.C.U.O.L.C.F.C.L. and Bankers, C.I.O. (Eds. ), Banks, liability, and risk Informa Pub. ISBN 978-1-85978-509-6. Chuah, J.C.T. (1999). Agency. In Upex, R. and Bennett, G. (Eds. ), Davies on contract ISBN 0-421-63560-6. Chuah, J.C.T. (1999). Assignment. In Upex, R. and Bennett, G. (Eds. ), Davies on contract ISBN 0-421-63560-6. Chuah, J.C.T. Islamic letters of credit – square peg in a round hole. International Trade and Carriage of Goods Routledge. ISBN 978-1-138-18456-5. Chuah, J.C.T. Contents of a Contract. The Law of Contract ISBN 978-1-4057-5108-7. Chuah, J.C.T. (2008). Laytime and Demurrage Clauses in Contracts of Sale. International Colloquium on Voyage Charterparties 11-12 September, University of Wales Swansea, Swansea, UK. Chuah, J.C.T. (2005). International Financial Instruments expressed to be governed by Islamic principles. Conference on Law and Commerce jointly organised by the International Islamic University of Malaysia and Victoria University, Melbourne, Australia 28-29 September, Kuala Lumpur, Malaysia. Chuah, J.C.T. (2000). Avoidance of Foreign Jurisdiction and Law – Challenges for Contractual transactions in Cyberspace. International Cyberlaws Conference: Towards an Effective Cyberlaws Framework for the K-Economy (Multimedia Super Corridor) 25-26 May, Kuala Lumpur, Malaysia. Chuah, J.C.T. (2017). New EU Rules on Maritime Safety for Passenger Vessels. Journal of International Maritime Law, 23(5), pp. 375–377. Chuah, J. (2017). 'One Belt One Road', Sub-Regional Transport Agreements and the CMR – a case of mutual dependency? European Journal of Commercial Contract Law, 9(1), pp. 1–7. doi:10.7590/187714617x14913986024416 . Chuah, J.C.T. (2017). Free ports in the UK: a post Brexit prospect? Journal of International Maritime Law, 23(1), pp. 5–6. Chuah, J.C.T. (2017). The EMSA's overview of marine casualties and incidents 2016. Journal of International Maritime Law, 22(6), pp. 501–502. Chuah, J.C.T. (2016). Understanding the impact of the res cogitans case: a student's primer. student law review, 79(autumn), pp. 46–47. Chuah, J.C.T. (2015). Seizure of commercial ships - the Maersk Tigris. The Journal of International Maritime Law, 21(2), pp. 81–82. Chuah, J.C.T. (2015). Small Business, Enterprise and Employment Act 2015 - some finance and company law implications. finance and credit law, (May), pp. 6–8. Chuah, J.C.T. (2015). Renegotiating Shipping Contracts and contractual remedies in times of Economic Hardship. Revue de Droit du Commerce International et des Transports, 2(2015), pp. 110–142. Chuah, J.C.T. (2015). Scope of section 5(2)(b) Carriage of Goods by Sea Act 1992. student law review, 2015(74), pp. 39–40. Chuah, J.C.T. (2014). Contractual extension of the buyer's time to take delivery. student law review, 73(spring), pp. 42–44. Chuah, J.C.T. (2014). External Community Transit. The Journal of International Maritime Law, 2004(10), p. 291. Chuah, J.C.T. (2014). The EU-China Mutual Recognition Agreement of Authorised Economic Operators (AEOs) – A Paradigm of Customs Cooperation? Internation Trade Law and Regulation, 2014(4), pp. 86–95. Chuah, J.C.T. (2014). Who is an advising bank - the quality of documentary credit communications. The Journal of International Maritime Law, 20(3), pp. 168–169. Chuah, J.C.T. (2014). Off hire Clauses – What is the presumed intention of the parties? Student Law Review, 71, p. 42. Chuah, J.C.T. (2013). Recent Developments in EU Private International Law. Student Law Review, 70, p. 54. Chuah, J.C.T. (2013). The scale and impact of maritime spatial planning in coastal and marine management. The Journal of International Maritime Law, 19, p. 525. Chuah, J.C.T. (2013). Short Sea Shipping and the Blue Belt Package. Journal of International Maritime Law, 19, p. 256. Chuah, J.C.T. (2012). Unpaid vendor's lien - when is it excluded? Finance and credit law, 2012(Apr), pp. 6–6. Chuah, J.C.T. (2012). What is an "international supply contract"? Student Law Review, 66(Sum), p. 40. Chuah, J.C.T. (2012). Business Sense in Construing a Performance Guarantee. Student law review, 65(Spr), p. 42. Chuah, J.C.T. (2011). Resolving Unresolved Relationship problems – the case of Cross Border Insolvency and Pending Arbitrations. European Company and Financial Law, 2011(4), p. 423. Chuah, J.C.T. (2011). Maritime Transport and the New Rules on Services of General Economic Interest. The Journal of International Maritime Law, 2011(17), p. 396. Chuah, J.C.T. (2011). Draft Regulation on EU-wide Freezing Orders. The Journal of International Maritime Law, 2011(17), p. 238. Chuah, J.C.T. (2011). Using INCOTERMS to ascertain civil and commercial jurisdiction. Student Law Review, 64(Aut), p. 40. Chuah, J.C.T. (2011). Documentary Credits – Should the Issuing Bank as named consignee be liable for costs incurred under the Contract of Carriage? The Journal of International Maritime Law, 2011, p. 175. Chuah, J.C.T. (2011). Scope of the Inherent Vice Exclusion in Marine Insurance. Student law review, 63(Sum), p. 42. Chuah, J.C.T. (2010). The Proposed Changes to the Brussels Jurisdiction and Judgments Regulation. The Journal of International Maritime Law, 2010(16), p. 404. Chuah, J.C.T. (2010). Carrier’s Vicarious Liability for Acts of its Servants. Student law review, 62, p. 32. Chuah, J.C.T. (2010). The New Liner Shipping Consortia Block Exemption Comes into Force. The Journal of International Maritime Law, 2010. Chuah, J.C.T. (2010). Export Credit and Credit Guarantee Institutions - Balancing Values in the Regulatory Environment. International Trade Law and Regulation, 2010, p. 155. Chuah, J.C.T. (2010). Impact of Islamic Law on Commercial Sale Contracts – A Private International Law Dimension in Europe. European Journal of Commercial Contract Law, 2010(4), pp. 191–204. Chuah, J.C.T. (2010). New Rights for Ship Passengers. Journal of International Maritime Law, 2010(16), p. 1. Chuah, J.C.T. (2010). Impact of Piracy on International Commercial Arrangements. Student law review, 61, p. 42. Chuah, J.C.T. (2010). New EU financial supervisory framework one step closer to completion. Finance & Credit Law, 2010(Oct), p. 6. Chuah, J.C.T. (2010). European Union: Member States instructed to ratify the ILO's work in Fishing Convention 2007. The Journal of International Maritime Law, 16(3), p. 247. Chuah, J.C.T. (2010). A Narrow Definition for Inherent Vice in Cargo Insurance. Student law review, 60(Sum), p. 38. Chuah, J.C.T. (2010). EU maritime security - protecting maritime transport from piracy. The Journal of International Maritime Law, 16(1), p. 5. Chuah, J.C.T. (2010). ECJ clarifies the issue of proof of insider dealing. Finance and Credit Law, 2010(Jan), pp. 6–8. Chuah, J.C.T. (2009). Fairness in retail banking and lending. Finance and Credit Law, 2009(Nov/Dec), pp. 2–4. Chuah, J.C.T. (2009). A Snapshot of some recent EU legal developments. The Journal of International Maritime Law, 2009(4). Chuah, J.C.T. (2009). The Rotterdam Rules – all change or no change for trading nations. Student law review, 58, p. 51. Chuah, J.C.T. (2009). The Third EU Maritime Safety Package – Objectives and Challenges. The Journal of International Maritime Law, 2009(3), p. 271. Chuah, J.C.T. (2009). Pirate’s Ransom – To Pay or not to Pay. Student law review, 56(Spr), pp. 46–47. Chuah, J.C.T. (2008). The Commission Guidelines on the Application to Maritime Transport Services of EC Treaty Rules on Restrictive Business Practices. The Journal of International Maritime Law, 14, p. 364. Chuah, J.C.T. (2008). Proposal to extend statutory civil liability regime under the Financial Services and Markets Act 2000. Finance and credit law, 2008(Sep), pp. 2–4. Chuah, J.C.T. (2008). Implications of the Tribunals, Courts and Enforcement Act 2007. Finance and credit law, 2008(Apr), pp. 1–4. Chuah, J.C.T. (2008). ECJ approves Directive on Ship-Source Pollution. The Journal of International Maritime Law, 14(2), pp. 180–182. Chuah, J.C.T. (2008). Advocate General's Opinion on the EU Ship-Source Pollution Directive. The Journal of International Maritime Law, 14(1), pp. 61–63. Chuah, J.C.T. (2008). ECJ declares the Directive on ship source pollution valid. Shipping and Trade Law, 2008(Jul/Aug), pp. 1–3. Chuah, J.C.T. (2008). Container stowage - a matter of cooperation or liability. Shipping and Trade Law, 2008(Jun), pp. 1–3. Chuah, J.C.T. (2008). The Achilleas - remoteness of damage principle in shipping. Student law review, 55(Aug), pp. 49–50. Chuah, J.C.T. (2008). Application of the Hague Visby Rules: by force of law or contract. Student law review, 54(Sum), pp. 47–48. Chuah, J.C.T. (2008). The principle of autonomy and new uses for letters of credit. Student law review, 53(Spr), pp. 44–45. Chuah, J.C.T. (2008). The Principle of Autonomy and new Uses for Letters of Credit. Student law review, 53, p. 44. Chuah, J.C.T. and Sumer, M. (2007). Emerging Legal Challenges for Countertrade Techniques in International Trade. International Trade Law and Regulation, 2007, p. 111. Chuah, J.C.T. and Profazio, G. (2007). An Analysis of Acceptance and Deferred Payment Credits in Civil and Common Law. The Journal of International Maritime Law, 13, p. 330. Chuah, J.C.T. (2007). An Analysis of the Proposed EU Supply Chain Security Directive. Lloyds Maritime and Commercial Law Quarterly, 2007, pp. 523–544. Chuah, J.C.T. (2007). The unwelcome return of the EU Draft Civil Liability Directive? The Journal of International Maritime Law, 13(6), pp. 377–378. Chuah, J.C.T. (2007). Exemption from VAT to apply to partial chartering? The Journal of International Maritime Law, 13(5), pp. 366–367. Chuah, J.C.T. (2007). EU VAT Law and Shipping – Recent ECJ Case Law. Shipping and trade law, 2007(5), p. 1. Chuah, J.C.T. (2007). EU consultation on ship dismantling launched. The Journal of International Maritime Law, 13(4), p. 300. Chuah, J.C.T. (2007). Assessment of damages for breach of contract. Finance & Credit Law, 2007(10), p. 5. Chuah, J.C.T. (2007). Changes to the Council of Mortgage Lenders' Handbook for England and Wales. Finance & Credit Law, 2007(7), pp. 1–3. Chuah, J.C.T. (2007). The new Companies Act 2006 and directors' duties. Finance & Credit Law, 2007(6), p. 3. Chuah, J.C.T. (2007). Documentary Credits – Introduction of the new UCP 600. Student law review, 52, p. 52. Chuah, J.C.T. (2007). Duty to nominate a safe port - The Count. Student law review, 51, p. 44. Chuah, J.C.T. (2007). The free on board (FOB) seller as shipper. Student law review, 50, p. 54. Chuah, J.C.T. (2007). UCP 600 – New Challenges and Issues. The Journal of International Maritime Law, 2007(13), p. 73. Chuah, J.C.T. (2007). Whether Towage in Open Seas subject to Maritime Cabotage Rules. The Journal of International Maritime Law, 2007(13). Chuah, J.C.T. (2007). VAT Exemption in Article 15 Sixth Directive – Application to Carriage of Goods by Sea. The Journal of International Maritime Law, 2007(13). Chuah, J.C.T. (2006). International Trade Financing Instruments expressed to be governed by Islamic principles – A Study of the Morabaha in English Law. Northwestern Journal of International Law and Business, 27, pp. 137–170. Chuah, J.C.T. (2006). “Without Prejudice” Rule and Acknowledgement of Debt under s 29(5), Limitation Act. Finance and Credit Law, 2006(9), p. 4. Chuah, J.C.T. (2006). The Probo Koala - shipment of hazardous waste. The Journal of International Maritime Law, 2006(12), p. 349. Chuah, J.C.T. (2006). Maritime Cabotage – Validity of proposed Concessions granted by Spain for Maritime Passenger Transport in the Vigo Estuary. The Journal of International Maritime Law, 2006(12), p. 279. Chuah, J.C.T. (2006). Commencement of Loading before Laytime contractually begins. Student law review, 2006, p. 49. Chuah, J.C.T. (2006). The End of the Road for the Port Services Directive. The Journal of International Maritime Law, 2006(12). Chuah, J.C.T. (2006). Compensation under Commercial Agents Regulations 1993 (Lonsdale v Howard & Hallam Ltd). The Journal of International Maritime Law, 2006(12), p. 9. Chuah, J.C.T. (2005). Liner Conferences in the EU and the Proposed Review of EC Regulation. Lloyd's Maritime and Commercial Law Quarterly, 86, pp. 207–233. Chuah, J.C.T. (2005). Implementation of the Directive Concerning the Enforcement of Provisions in Respect of Seafarers’ Hours of Work. The Journal of International Maritime Law, 2005(11), p. 376. Chuah, J.C.T. (2005). Performance Bonds – Tradigrain v State Trading Corp of India. The Journal of International Maritime Law, 2005(11), p. 325. Chuah, J.C.T. (2005). Ship Master’s Right to be Paid for Short Breaks. Shipping and trade law, 2005, p. 1. Chuah, J.C.T. (2005). Apparent Conflict of Jurisdiction between the CMR and the Brussels Regime on Civil and Commercial Jurisdiction. The Journal of International Maritime Law, 2005(11), p. 67. Chuah, J.C.T. (2005). Standard Contractual Clauses for the Transfer of Personal Data to Third Countries. Finance & Credit Law, 2005(2), p. 7. Chuah, J.C.T. (2005). Letters of Indemnity – Delivery of Goods without Bills of Lading (Pacific Carriers Ltd v BNP Paribas  HCA 35; High Court of Australia). The Journal of International Maritime Law, 2005(11), p. 487. Chuah, J.C.T. (2004). Jurisdiction and Illegal Strike Action by Shipping Trade Union. The Journal of International Maritime Law, 2004(10), p. 195. Chuah, J.C.T. (2004). Private International Law – Choice of Islamic Law (Shamil Bank of Bahrain EC v Beximco). The Journal of International Maritime Law, 2004(10), p. 125. Chuah, J.C.T. (2004). Laytime and Time for Opening a Letter of Credit. The Journal of International Maritime Law, 2004(10), p. 16. Chuah, J.C.T. (2004). Anti-Competitive Conduct of Greek Ferry Operators. The Journal of International Maritime Law, 2004(10), p. 100. Chuah, J.C.T. (2004). Direct Effect of the Barcelona Convention for the Protection of the Mediterranean Sea against Pollution and Article 6(3) of the Athens Protocol. The Journal of International Maritime Law, 2004(10), p. 372. Chuah, J.C.T. (2004). Letter of Credit – Applicable Law and Forum non Conveniens. The Journal of International Maritime Law, 2004(10), p. 236. Chuah, J.C.T. (2004). Jurisdiction and Illegal Strike Action by Shipping Trade Union (Case C-18/02 Danmarks Rederiforening, acting on behalf of DFDS Torline A/S v LO Landsorganisationen i Sverige, acting on behalf of SEKO Sjöfolk Facket för Service och Kommunikation). The Journal of International Maritime Law, 2004(10), p. 195. Chuah, J.C.T. (2004). Documentary Credit – new directions in the Principle of Autonomy. Student law review, 41, p. 46. Chuah, J.C.T. (2004). The Unfair Contract Terms Act 1977 and International Freight Forwarder Contracts. Student law review, 40, p. 52. Chuah, J.C.T. (2003). Letters of credit and Illegality in the Underlying Transaction (Mahonia Limited v JP Morgan Chase Bank (2003)). The Journal of International Maritime Law, 2003(9), p. 518. Chuah, J.C.T. (2003). Right of Guaranteeing Associations to contest Customs claim to enforce TIR Guarantees (Case C-78/01 Bundesverband Güterkraftverkehr und Logistik eV v Bundesrepublik Deutschland (23 September 2003)). The Journal of International Maritime Law, 2003(9), p. 392. Chuah, J.C.T. (2003). Documentary Credit – derogation from the Principle of Autonomy. The Journal of International Maritime Law, 2003(9), p. 215. Chuah, J.C.T. (2003). Claim against Liner Conferences for Damages for Anti-Competitive Practices (Yeheskel Arkin v Borchard Lines Ltd & Ors  EWHC 687). The Journal of International Maritime Law, 2003(9), p. 329. Chuah, J.C.T. (2003). Commercial Agency – Validity of Italian Law requiring Prior Registration of Agents. The Journal of International Maritime Law, 2003(9), p. 222. Chuah, J.C.T. (2003). The new Trans Atlantic Conference Agreement – An Evaluation of Liner Conferences under Threat. The Journal of International Maritime Law, 2003(9), p. 289. Chuah, J.C.T. (2003). Commodity forward contract and regulated investment business – Trading Houses Beware. The Journal of International Maritime Law, 2003(9), p. 103. Chuah, J.C.T. (2003). Harbour dues and the freedom to provide services. The Journal of International Maritime Law, 2003(9), p. 152. Chuah, J.C.T. (2003). Comment on the proposal to improve the Double Hull Regulation. The Journal of International Maritime Law, 2003(9), p. 156. Chuah, J.C.T. (2003). The Dissolution of a Limited Liability Partnership – Implications for members of the LLP. Finance and Credit Law, 2003(7), p. 1. Chuah, J.C.T. (2003). Stolen Cheques and the Paying Bank acting as Agent for Collection. Finance and Credit Law, 2003(7), p. 6. Chuah, J.C.T. (2003). Case notes on Credit Industriel et Commercial v China Merchants Bank (definition of “original” in letters of credit), Iran Continental Shelf Oil v IRI (applicable law of the contract). Student law review, 38, p. 52. Chuah, J.C.T. (2003). Effect of an Aggregation Clause in a Banker’s Composite Insurance Policy. Finance and Credit Law, 2003(8), p. 4. Chuah, J.C.T. (2003). Acceptance of Cheque tendered by Third Party in Full and Final Settlement. Finance and Credit Law, 2003(8), p. 7. Chuah, J.C.T. (2003). Documentary Sanctity in International Trade and the Protection of Endangered Species. The Journal of International Maritime Law, 2003(9), p. 15. Chuah, J.C.T. (2003). Contributory Negligence of the Confirming Bank in a Documentary Credit Arrangement. The Journal of International Maritime Law, 2003(9), p. 17. Chuah, J.C.T. (2003). Validity of Vessel Traffic System Charges under EU law. The Journal of International Maritime Law, 2003(9), p. 83. Chuah, J.C.T. (2002). Internet Banking Services – Questioning the Current Response to Account Aggregation. Journal of International Banking Law and Regulation, 2002(11), pp. 309–315. Chuah, J.C.T. (2002). Nature of a Bill of Lading and the Hague Visby Rules – The Happy Ranger. Student law review, 37, p. 55. Chuah, J.C.T. (2002). A new Framework for Takeover Bids in the EU. Finance and Credit Law, 2002(9), p. 1. Chuah, J.C.T. (2002). “Original” document in documentary credits. Finance & Credit Law, 2002(7), p. 5. Chuah, J.C.T. (2002). The Reliance on Banking Secrecy Laws in one Member State as a Legal Defence in Another Member State. Finance & Credit Law, 2002(6), p. 7. Chuah, J.C.T. (2002). Non-Status Borrowers and the Consumer Credit Act 1974 (Broadwick Financial Services Ltd v David John Spencer & Sylvia Julie Spencer). Finance & Credit Law, 2002(5), p. 4. Chuah, J.C.T. (2002). Ascertaining the Choice of Law of a Foreign Guarantee (Land Rover Exports Ltd v Samcrete Egypt). Finance & Credit Law, 2002(2), p. 6. Chuah, J.C.T. (2002). Leave of Company Court to bring “action or proceeding” against a company under Liquidation. International Company and Commercial Law Review, 2002. Chuah, J.C.T. (2002). Council Regulation on the Statute for a European Company (SE) - Balancing National and EU Control of Cross Border Mergers. International Company and Commercial Law Review, 2002(9), p. 1. Chuah, J.C.T. (2002). Who is a Commercial Agent – the Plot thickens. Shipping and Trade Law, 2002(3), p. 3. Chuah, J.C.T. (2002). Is there a nullity defence in documentary credits? Finance & Credit Law, 2002, p. 3. Chuah, J.C.T. (2001). The Factual Matrix in the Construction of Commercial Contracts. International Company and Commercial Law Review, 2001(1), pp. 294–299. Chuah, J.C.T. (2001). EC Regulation on Jurisdiction and the Recognition and Enforcement of Judgments in Civil and Commercial Maters 2000. Student law review, 34, p. 47. Chuah, J.C.T. (2001). Broker’s Duty to Advise Insurers – Measure of Damages for Breach. Shipping & Trade Law, 2001(8), p. 3. Chuah, J.C.T. (2001). International Trade Law Case Notes on Zenziper Grains (Free on Truck Contracts); Whistler International (Time Charters); Canada Trust (article 6, Lugano Convention); The Kapitan Sakhariv (article IV(6), Hague Visby Rules and Causation). Student law review, 33, p. 51. Chuah, J.C.T. (2001). Negligent Misstatement – Role of Merchant Bankers. International Company and Commercial Law Review, 2001. Chuah, J.C.T. (2001). Loss of or Damage to Goods carried by Air – A Survey of Recent Case Law. Student law review, 32, p. 53. Chuah, J.C.T. (2001). Supervision of stockbrokerage industry – the Concept of the “universal broker”. International Company and Commercial Law Review, 2001. Chuah, J.C.T. (2000). The New EU Directives to Regulate Electronic Money Institutions – A Critique of the EU’s Approach to Electronic Money. Journal of International Banking Law, 2000, pp. 180–186. Chuah, J.C.T. (2000). International Trade Law Case Notes on Motis Exports v Dampskibsselskabet AF (1999): forged bills of lading; and Banco Santander SA v Bayfern (2000): discounting of letter of credit. Student law review, 31, p. 60. Chuah, J.C.T. (2000). The Bolero Project – the International Chamber of Commerce’s Electronic Bill of Lading Project. Student law review, 30, p. 56. Chuah, J.C.T. (2000). A Single Regulator for the Financial Services Sector in Malaysia – The Malaysian Securities Commission. International Company and Commercial Law Review, 2000. Chuah, J.C.T. (2000). International Trade Law Case Notes on Motis Exports v Dampskibsselskabet AF (1999): forged bills of lading; and Banco Santander SA v Bayfern (2000): discounting of letter of credit. Student law review, 30, p. 59. Chuah, J.C.T. (2000). The EC Directive on Electronic Signatures. Student law review, 29, p. 50. Chuah, J.C.T. (2000). Early Discounting of letter of credit and the risk of fraud. Finance & credit law, 2(5), p. 7. Chuah, J.C.T. (1999). Letters of Credit – Discounting of Drafts and Non-Documentary Conditions. Student law review, 28, p. 54. Chuah, J.C.T. (1999). International Trade Law Case Notes on Borealis AB v Stargas Ltd and Ors (1998): intermediate holders of bill of lading; and The Mata K (1998) : weight unknown clauses. Student law review, 27, p. 51. Chuah, J.C.T. (1999). Mortgage Security Clauses and the Free Movement of Workers. Finance & credit law, 1999(May), p. 7. Chuah, J.C.T. (1999). Legality of Standard Clause requiring Debt defaulters to pay Interest. Finance & credit law, 1999(Apr), p. 4. Chuah, J.C.T. (1999). Developing an EU integrated securities and derivatives market and supervisory structures for EU financial markets. Finance & credit law, 1(3), p. 7. Chuah, J.C.T. (1999). EU efforts to create a Single Market for supplementary pension schemes. Finance & credit law, 1999. Chuah, J.C.T. (1999). Performance Guarantees and the fraud exception. Student law review, 26, p. 49. Chuah, J.C.T. (1999). EC Proposal for a legal framework for electronic commerce. Credit & Finance Law, 1999, p. 6. Chuah, J.C.T. (1999). Introduction to Monetary Union - Part 2. Law Teacher, 33. Chuah, J.C.T. (1998). Introduction to Monetary Union - Part 1. Law Teacher, 32, p. 330. Chuah, J.C.T. (1998). The Euro and implications for payment systems. Credit & finance law, 1998, p. 71. Chuah, J.C.T. (1998). In the Name of Uniformity (Re The Product Liability Directive Case). Law Teacher, 32, p. 103. Chuah, J.C.T. (1998). EC Legal Framework for use of Electronic Signature in Commerce. Credit and Finance Law, 1998, p. 47. Chuah, J.C.T. (1998). International Trade Law Case Notes on Airbus Industrie v Patel (House of Lords) (1998): anti suit injunctions; Ingmar v Eaton Leonard Technologies (1998): Commercial Agency and foreign applicable law. Student law review, 24, p. 49. Chuah, J.C.T. (1998). International Trade Law Case Notes on The Giannis K (1998): Dangerous Goods, Lacey's Footwear (1997): CMR Convention. Student law review, 24, p. 49. Chuah, J.C.T. (1998). Problem of Late Payments in International Contracts. Student law review, 23, p. 50. Chuah, J.C.T. (1998). Whether FOB Buyers entitled to call for freight pre-paid bills of lading. Student law review, 23, p. 52. Chuah, J.C.T. (1997). Draft Treaty of Amsterdam - Themes and Achievements. Law Teacher, 31, p. 365. Chuah, J.C.T. (1997). The Euro and the International Monetary System. Credit and Finance Law, 1997, p. 158. Chuah, J.C.T. (1997). Development of European capital markets for SMEs. Credit and Finance Law, 1997, p. 135. Chuah, J.C.T. (1997). Unlawful prohibition on fund transfer by HM Treasury and the Bank of England. Credit and Finance Law, 1997, p. 112. Chuah, J.C.T. (1997). International Trade Law Case Notes on The River Gurara (1997): Hague Rules, The Star Sea (1997): seaworthiness and Colonia v Amoco (1997): assignment of insurance policy. Student law review, 22, p. 57. Chuah, J.C.T. (1997). International Trade Law Case Notes on Seaconsar v Bank Markazi (1996):letters of credit; Esso v Milton (1997): direct debit and Graham Page v CSTC (1996): Commercial Agent Regs. Student Law Review, 21, p. 43. Chuah, J.C.T. (1997). The new UNCITRAL Convention on Independent Guarantees. Student Law Review, 20, p. 44. Chuah, J.C.T. (1997). International Trade Law Case Notes on Airbus v Patel (1996): forum non conveniens. Student Law Review, 20, p. 46. Chuah, J.C.T. (1996). Transferring Money within the Single Market: What the trader can expect? Trading Law, 15, p. 404. Chuah, J.C.T. (1996). Consumer Issues in EC Green paper on Financial Services. Credit and Finance Law, 10, p. 10. Chuah, J.C.T. (1996). Credit transfers and EC Competition Law. Credit and Finance Law p. 8. Chuah, J.C.T. (1996). Credit transfers with in the EC - Festina Lente? Credit and Finance Law, 8, p. 1. Chuah, J.C.T. (1996). International Trade Law Case Notes on The River Gurara (1996): containerisation, Vitol v Norelf (1996): Anticipatory breach, The Mahkutai (1996): Himalaya Clause. Student Law Review, 19, p. 58. Chuah, J.C.T. (1996). International Trade Law Case Notes on L'Alsacienne (1995): uberrimae fidei, The Giannis K (1996): dangerous goods, Cepheus (1995): Mareva injunction. Student Law Review, 18, p. 49. Chuah, J.C.T. (1996). International Trade Law Case Notes on Brown v KMR (1995): Lloyd agent, PCW Syndicates (1995): insurance agent, St. Paul Fire (1995): non-disclosure, Themehelp (1995): performance bond, Trafalgar House (1995): performance, The Pamela (1995): anti-technicality, The Sormovsky (1995): bills of lading. Student Law Review, 17, p. 46. Chuah, J.C.T. (1995). The Unfair Terms in Consumer Contract Regulations 1994 in the provision of Health Care Services. Health Care Law Newsletter. Chuah, J.C.T. (1995). International Trade Law Case notes on Pan Atlantic (1994): non-disclosure, SA Coppee Lavalin (1995): arbitration, The Gregos (1995): time charter, The Island Archon. Student Law Review, 16, p. 54. Chuah, J.C.T. (1994). A Legal Survey of Direct Debit in International Sales. European Business Review pp. 17–21. Chuah, J.C.T. and Holroyd, J. (1994). Trying Frauds with a Foreign Element. Journal of Criminal Law, 58, p. 388. Chuah, J.C.T. (1991). Correcting Errors in Contracts. Malayan Law Journal. - Finance and Credit Law (Singlelaw). He is also a regular contributor to the Student Law Review (Routledge).